I have attempted and made work a microUSB dual card in the minipcie slot, this was mainly because I don't use the wifi card and also I wanted to free up all my usb ports! Keep in mind I used a working USB rootfs with debian installed. Please read entirely before trying this ! I claim no responsibility for personal injury or bricked unit! 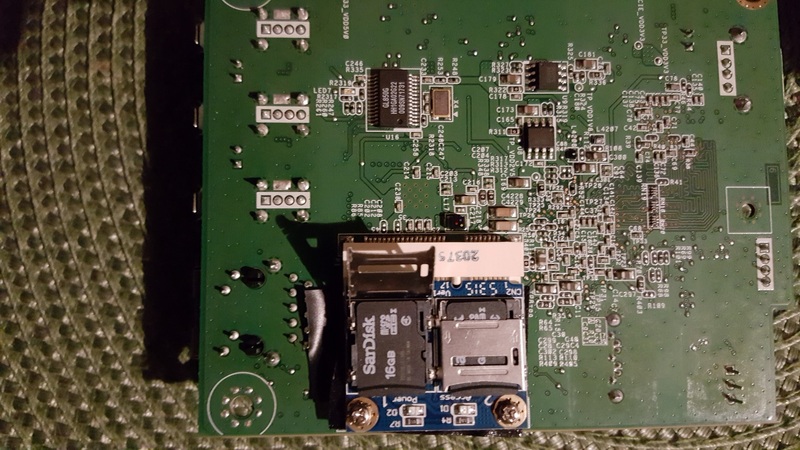 next I ordered 2 micro pcie usb cards, I used sandisk 16gb, the reason for two was that I was hoping to use the second as a swap however I have not tested that at this time but I did format it as a linux-swap. after that i took out the micro usb and inserted the second one and formatted it to linux-swap. 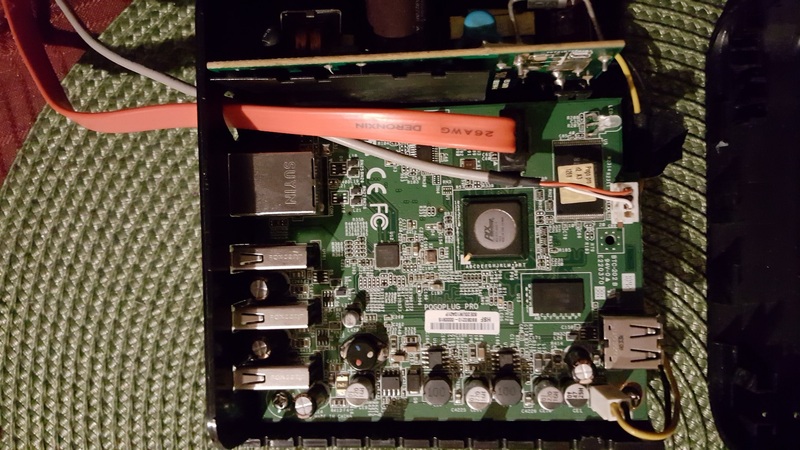 I then unplugged and took apart the pogoplug, removed the wifi card on the back of the board. 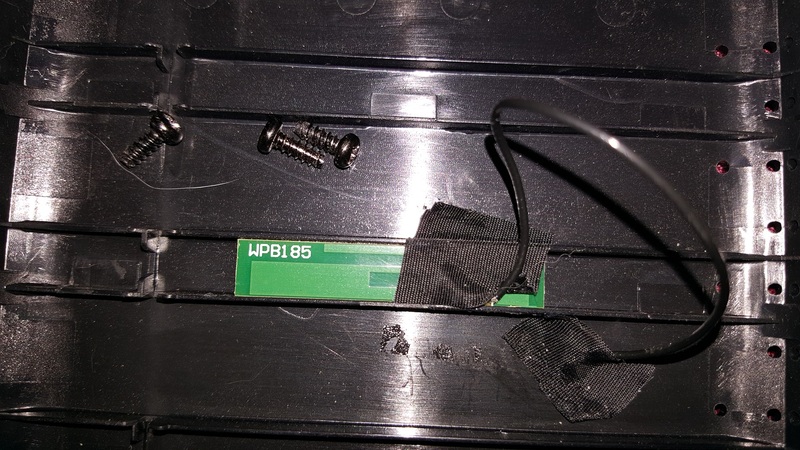 next I inserted the card and tested it by powering it up out of the case, (not recommended because it has live 120v when exposed) and it did absolutely nothing! I hope this helps someone that is looking for more ports and I am no expert so feel free to let me know if there are other things I can do with this!! Edited 2 time(s). Last edit at 04/10/2018 10:00PM by bodhi. > working USB rootfs with debian installed. > the second one and formatted it to linux-swap. 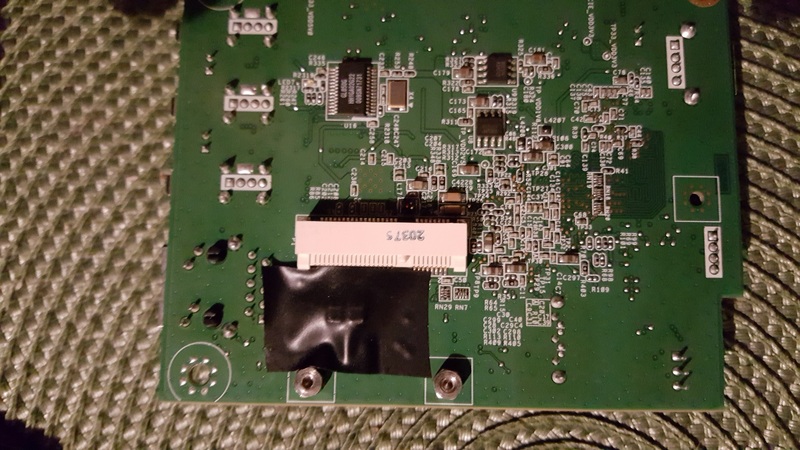 > removed the wifi card on the back of the board. 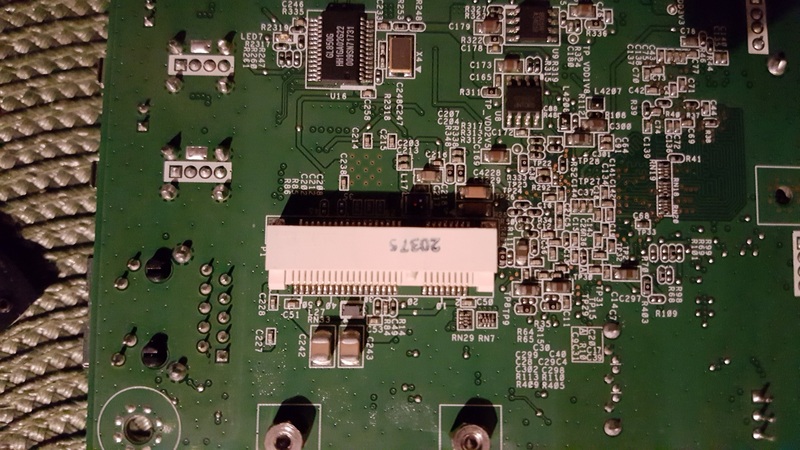 Do you have a pic of the board with this card fully installed? It would be nice if you can take a few pics (without and with the Pogo case assembled)! 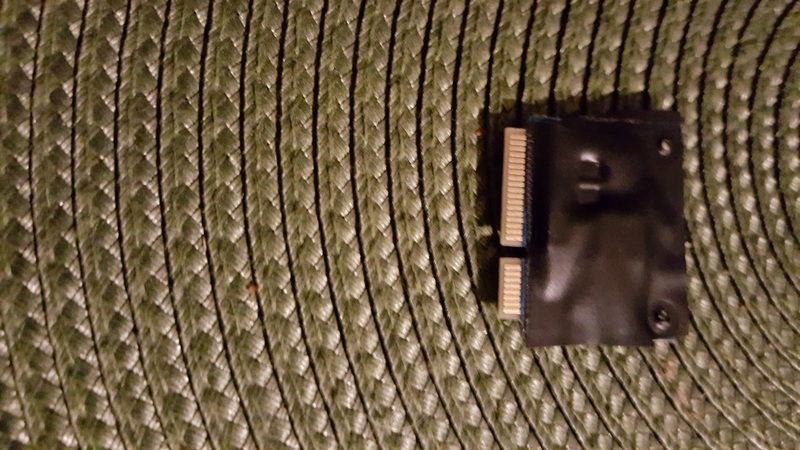 Attached are the pics of the open port on the back side of the pogoplug board the tape its to keep the card from shorting out (because it will and the unit won't start) so be sure not to over tighten when installing the card!!!!! 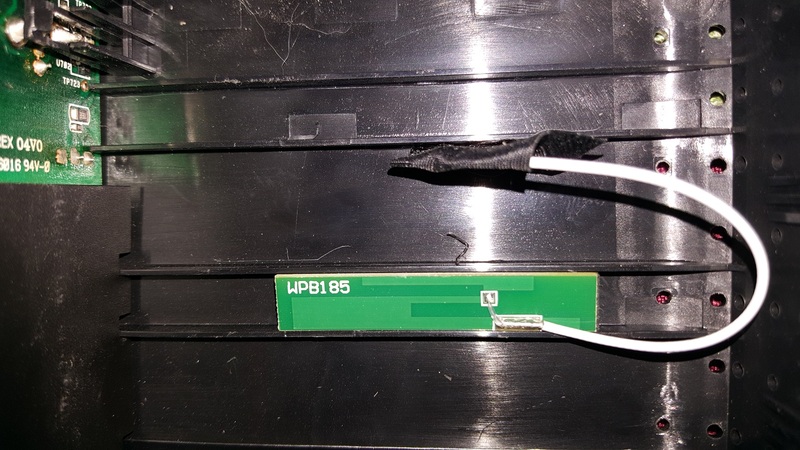 in these pics, as the forum only allows 3 per message,I'm showing the taped back side of the mpcie dual usb card, they are labelled 1 and 2 on the top side . Do not tape over the top side!!! just 2 precut pieces of tape will suffice. Again I did not tighten down hard on the screws they are tight but not manhandled. 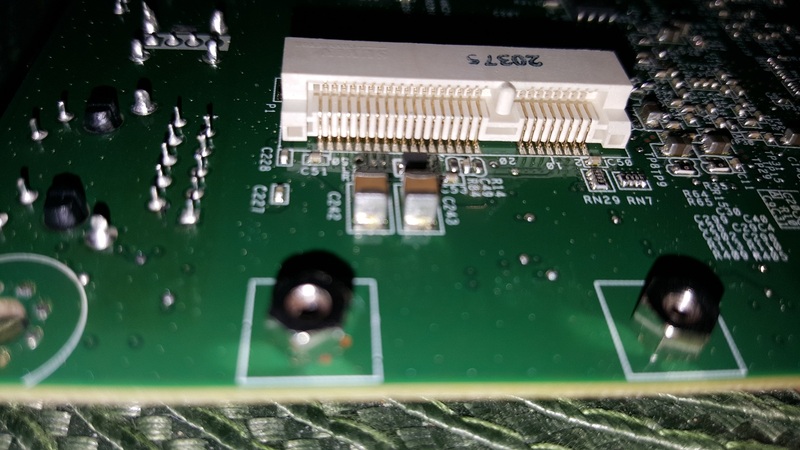 in these pics are the board installed with the serial port and sata cable run through the back of the opening I drilled while apart( I used a 1/1/2 inch spade bit and a lot of care then filed the sides of it to accommodate the sata plug end. 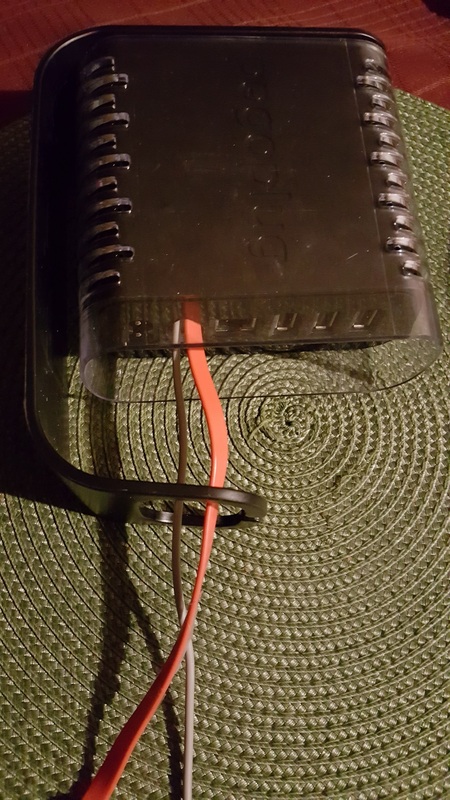 on the next two pics I wanted to be sure there were no shorts so I taped the antenna wire ends for possible future use if i decide on wifi again. here is the completed upgrade with the cables ready for use, I plan to silicon the opening but have not done so yet. remember there needs to be a power supply for the sata to work and the serial needs a ttyl to usb adapter attached to actually function! hope these help anyone trying this method!!!!! I've added this to the Wiki. When you have a serial boot log with both drives attached, please post that too. Edited 2 time(s). Last edit at 04/10/2018 07:47PM by bodhi. I'm sure there are more things to clear up but it does boot ok.
[    0.190159] SMP: Total of 2 processors activated (678.29 BogoMIPS). [    1.413967] RPC: Registered named UNIX socket transport module. [    1.413987] RPC: Registered udp transport module. [    1.413998] RPC: Registered tcp transport module. [    1.414008] RPC: Registered tcp NFSv4.1 backchannel transport module. [    1.906731] Installing knfsd (copyright (C) 1996 okir@monad.swb.de). [    2.983585] 0x000000000000-0x000000e00000 : "boot"
[    2.990336] 0x000000e00000-0x000008000000 : "data"
bound to 192.168.5.97 -- renewal in 16603 seconds. [....] Starting cgroup management daemon: cgmanager[....] Starting cgroup manage[ ok proxy daemon: cgproxy. [ ok ] Starting NTP server: ntpd[....] Starting NetBIOS name server: nmbd. [ ok ] Starting Remote Desktop Protocol server: xrdp-sesman xrdp. [ ok ] Starting SMB/CIFS daemon: smbd. A related note on this topic. When you use the SD card for swapping, you should activate zswap. See the first post in the kernel release thread. That configuration would defeat the purpose of having an internal storage drive contained inside the box. If you need to add SD card reader/writer to this box and access it outside, then why don't you just plug in an external USB SD card reader/writer? 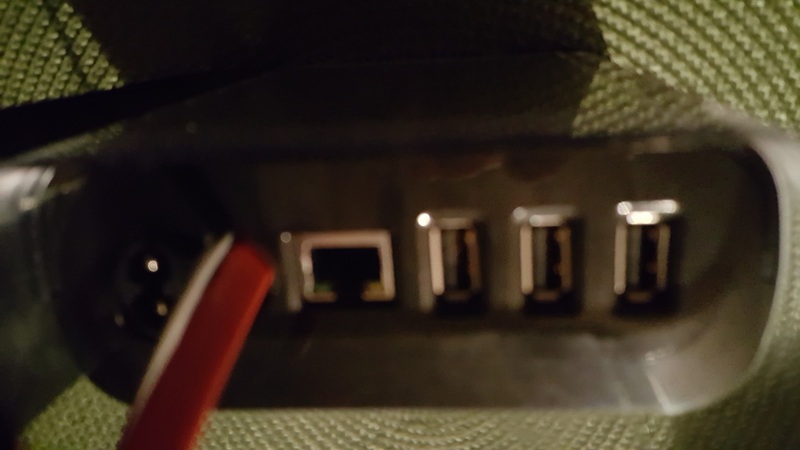 There are 4 USB ports available, which you can also plug in more USB hubs. The mods you did is nice because it works like having a 16 GB NAND space to store the kernel and rootfs. Sounds good! not overkill at all. It is true that SD card will need to be replaced at some point if writing too much to it. I've tried the same setup with the same type of mini pcie card plugged into an Iomega Iconnect. The led on the pcie card is green so it does get power but it doesn't read the contents of the micro SD card somehow. The same micro SD card plugged into an usb card reader boots into Debian without issues so I know the micro SD card and uboot works. Does this setup require any changes to the u-boot environment? or is it just bad luck that my setup doesn't work? The output of my current printenv is included below. No storage devices, perhaps not 'usb start'ed..? The tutorial in the 1st post is applicable only to the Pogo V3 (OXNAS SoC). The Pogo V3 has a different bootROM in hardware and different u-boot installed as for the Iomaga iConnect (Marvell Kirkwood SoC). This means u-boot did not detect the mPCIe card that was plugged in. The iConnect u-boot I've released (U-Boot 2017.07-tld-1) does not have PCI supports. 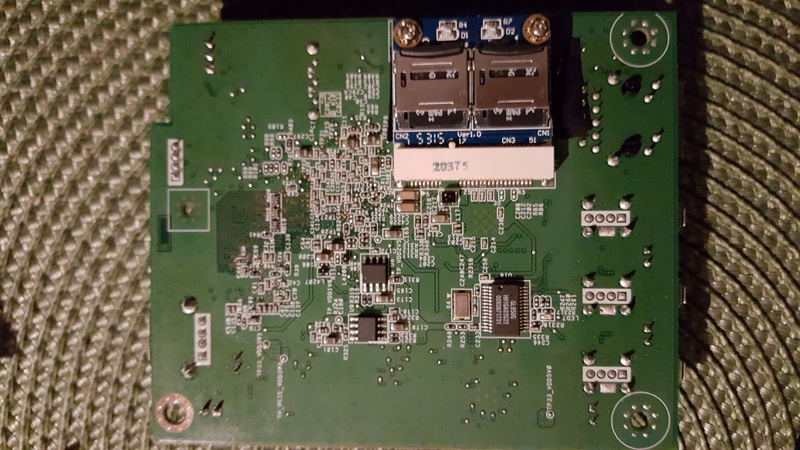 On the iConnect, you are supposed to boot with USB rootfs and then use the mPCIe slot for other purpose. I might revisit this PCI capability in the next u-boot release to see if it is easy to add it to all Kirkwood u-boots. In the mean time. you can only use it inside Debian after the kernel has booted. Thanks for the explanation. I'll use an external USB stick instead. Just an update, My first pogoplug had a board issue, the power wire leads had came out and I am horrible at soldering, I have 2 new pogoplugs so I simply moved the cards and reconfigured the new pogoplug and the setup worked flawlessly, the reason i posted in this forum was to say that the card configuration here works and has not had issues for a few months now, thanks Bodhi for being a great mentor through this!